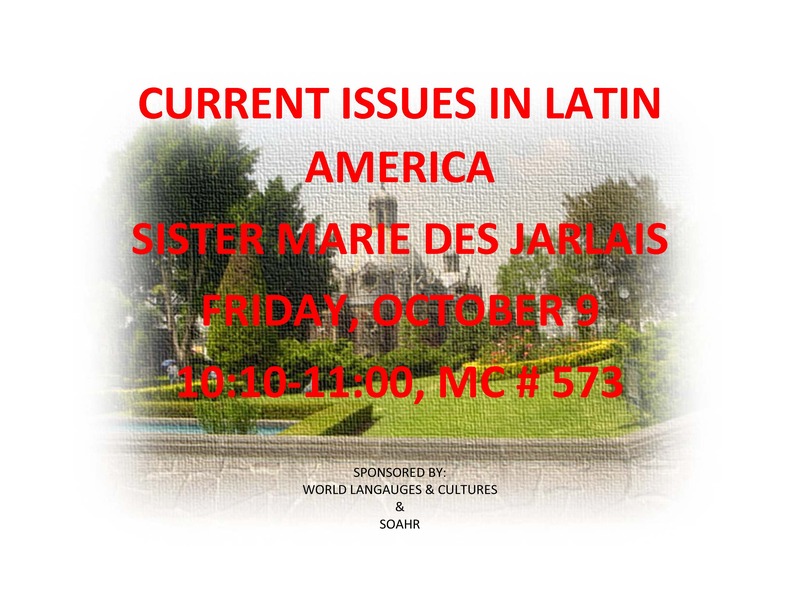 Presentation on Latin American Current Issues by Sister Marie Des Jarlais, director of Global Awareness Through Experience (GATE). Event made possible by interdisciplinary and inter-department and programs collaborations. Open to the public. For more information, contact Maribel Bird or Jesús Jambrina.